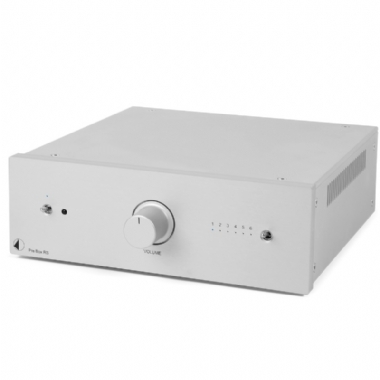 The Pre Box RS is designed to perform input switching and deliver high-performance audio pre amplification. Arguably Box Designs best sound proof pre amplifier with its superlative rigid and heavy luxury cabinet this model promises no global feedback and protects against potential vibrations. The pure class A operation and Low ESR Capacitors associated with the Pre Box RS eliminates any distortion giving you a high quality signal for your sound system. The Pre Box RS comes with a handy IR remote control for alternating between inputs and volume adjustments. If you're partnering the Pre Box DS with other Box Design source components, it may be worth considering purchasing the Control-IT system remote. When coupled with the Amp Box RS the Pre Box RS delivers a true, comprehensive audio sound.